In recent decades, labeling technology did not progress much until practical laser labeling machines were developed. These machines satisfy a variety of product identification requirements including those for foods, medicines, bio-science, production lines, and more. 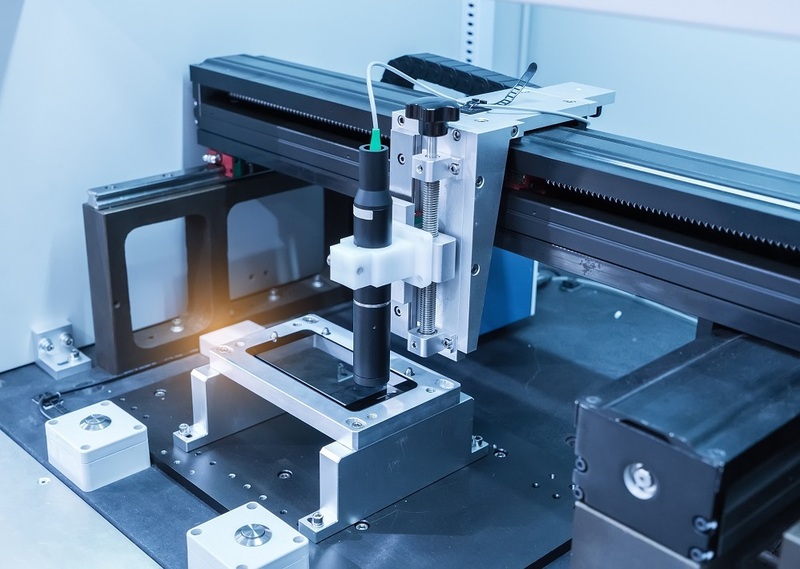 A laser labeler requires not only laser technology, but also mechanical, electrical, computer science and many other technologies. Fortunately, nowadays those technologies are ever more mature and affordable and can be implemented in field applications. Like other computer numerical control systems (CNCs), a laser labeling machine relies on CAD and CAM to analyze models, and then transfers the information into movement instructions for processing. The labeler requires sufficient performance for calculations, and dual Ethernet, with EtherCAT capability, for communication with motion cards. One of our customers with extensive experience in industry was looking for an embedded SBC with dual display interfaces for internal and external HMI, and also multiple USB and COM ports to support monitoring, control, and feedback for a laser labeling machine. Most important, the SBC needed top reliability, despite temperature and vibration challenges, as well as a compact design that could easily fit in a very limited space. 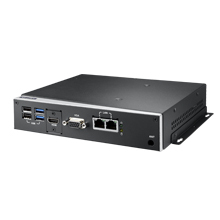 The customer chose the Advantech EPC-S101, a compact system based on 3.5” SBC PCM-9310, an Intel® N3000 series platform that provides up to a quad-core processor with only 6W power consumption. Such low heat dissipation and a fanless system design provide excellent reliability for critical field operations. EPC-S101 fits various mounts including wall/desk mount, VESA mount, and DIN-rail, for a wide range of application requirements. Two side-bracket I/Os give lots flexibility, including 6 USB3.0/2.0 ports, VGA and HDMI, 4 COM ports with 15KV isolation, DIO, audio, etc. EPC-S101 also can support internal connector features including LVDS/eDP, SMBus and add-on wireless modules with reserved antenna assemblies. Advantech also provides a built-in OS of the customer’s choice—Windows or Linux—in addition to software APIs and utilities that help customers quickly implement their own applications.